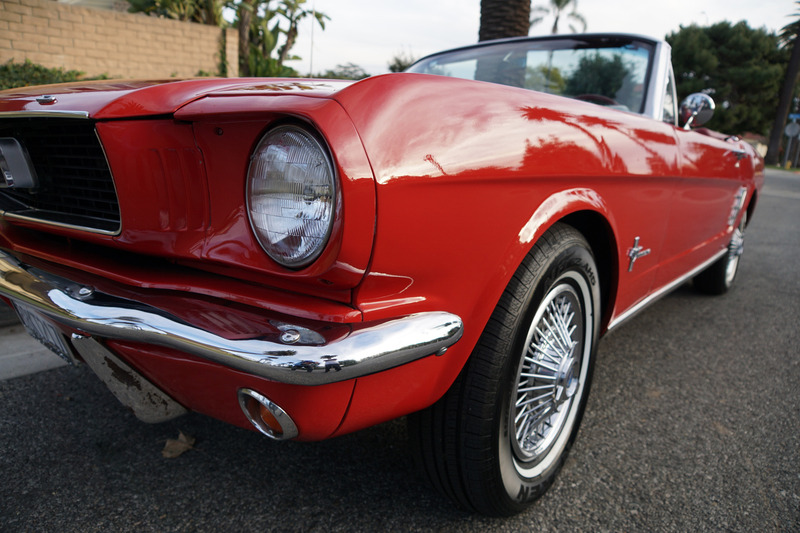 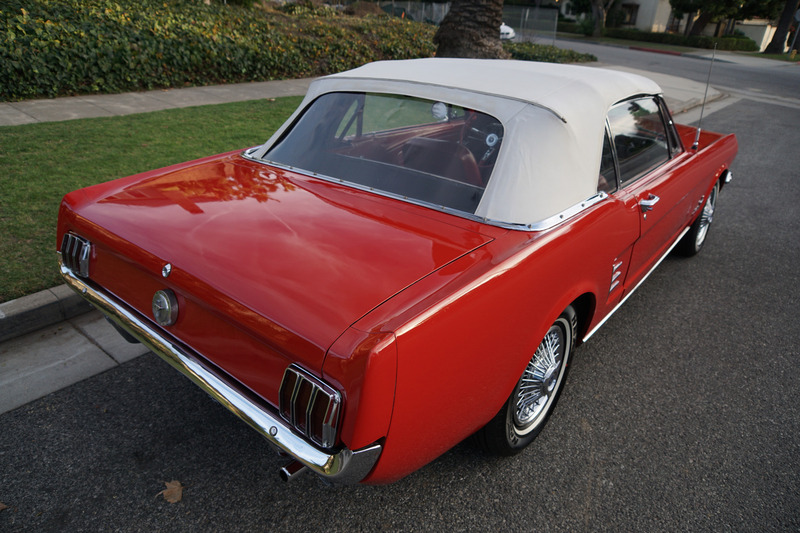 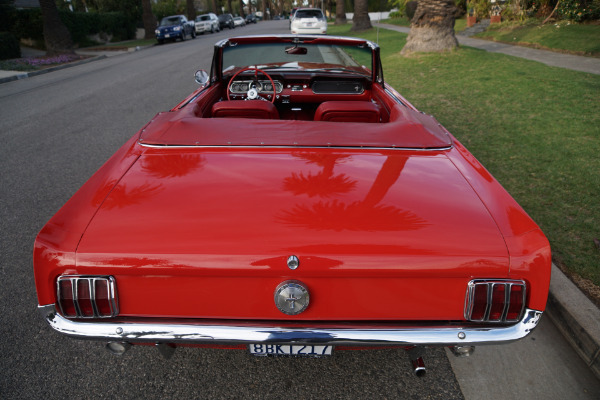 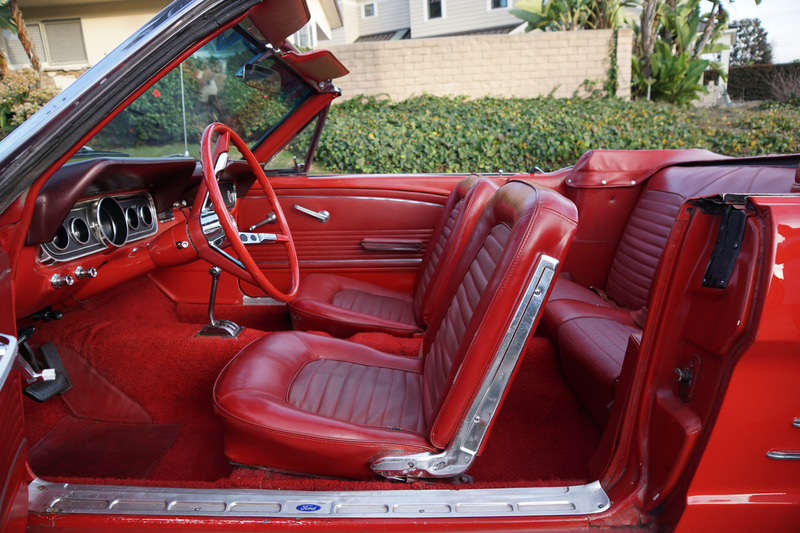 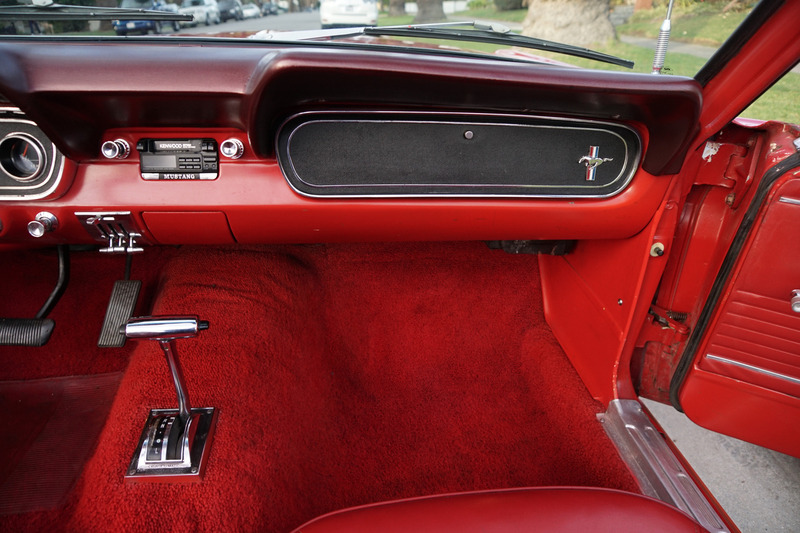 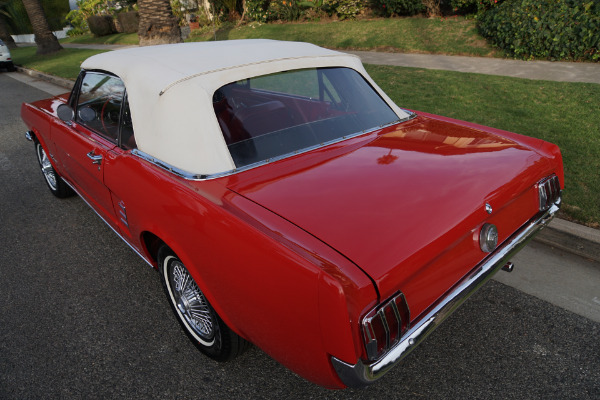 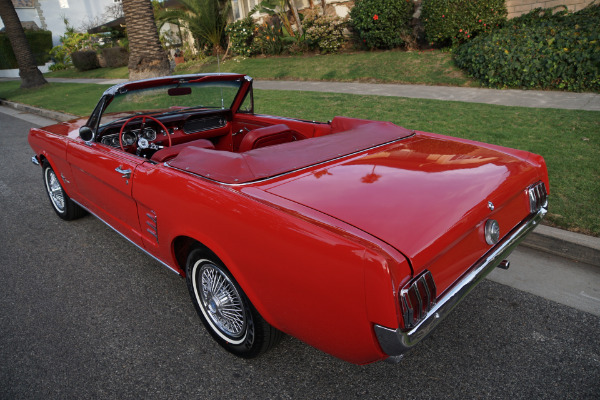 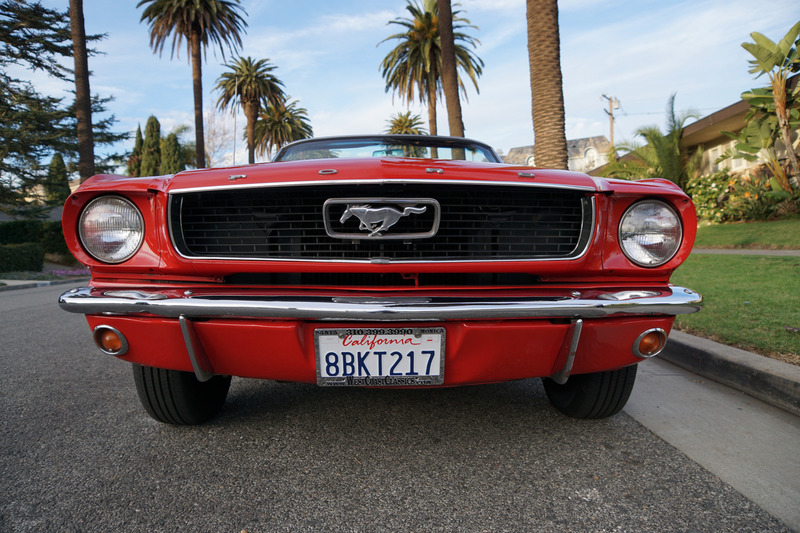 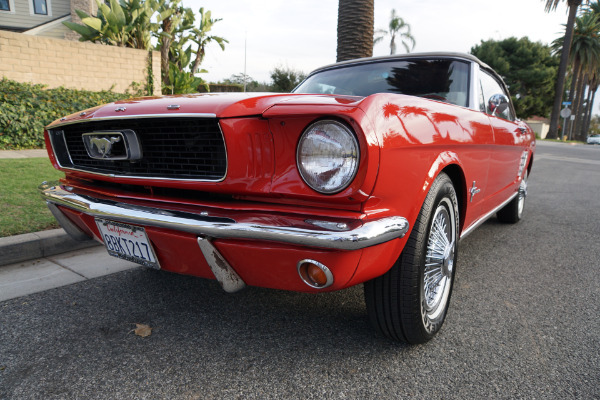 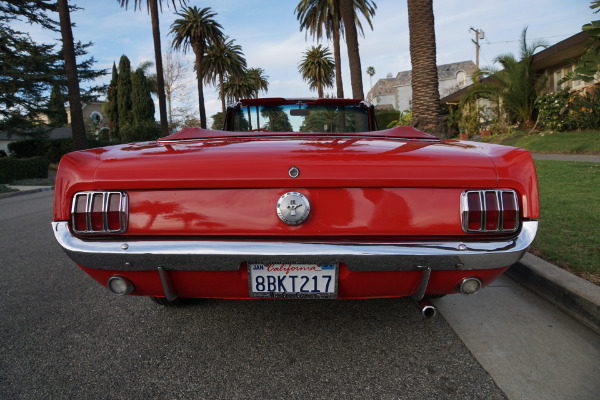 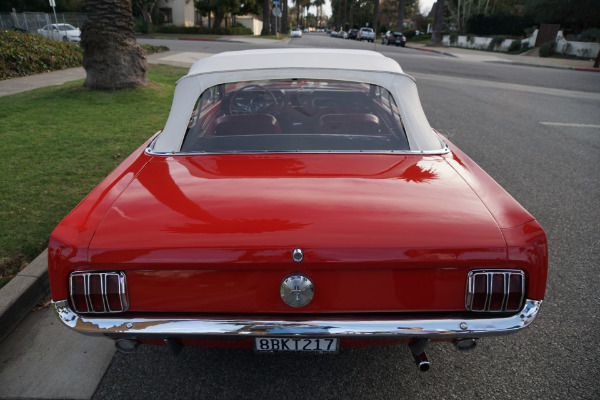 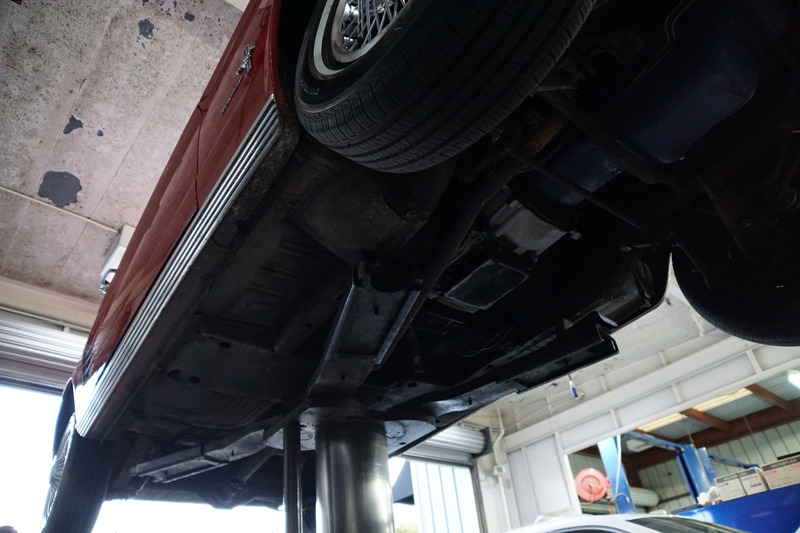 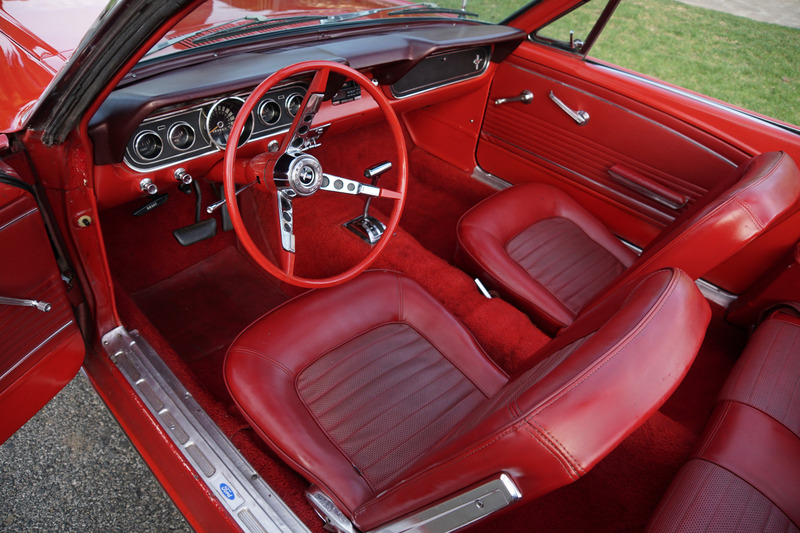 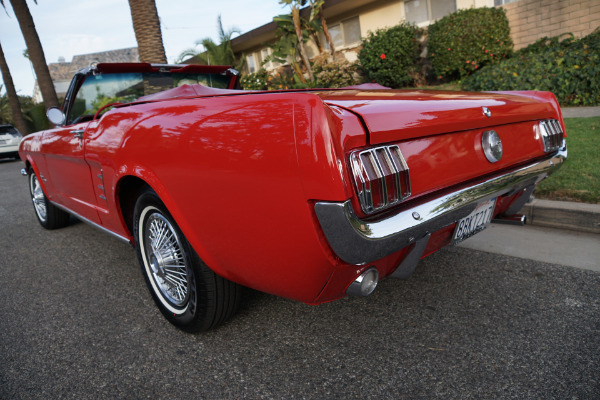 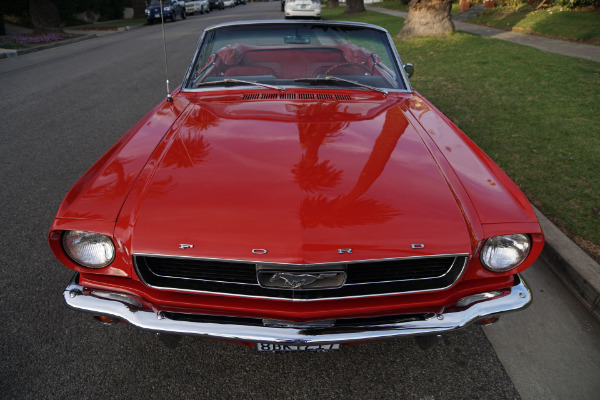 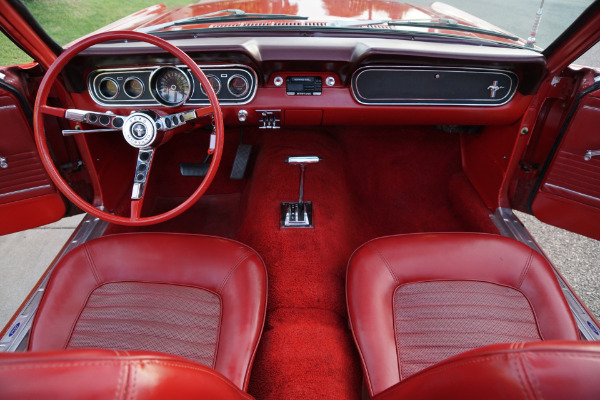 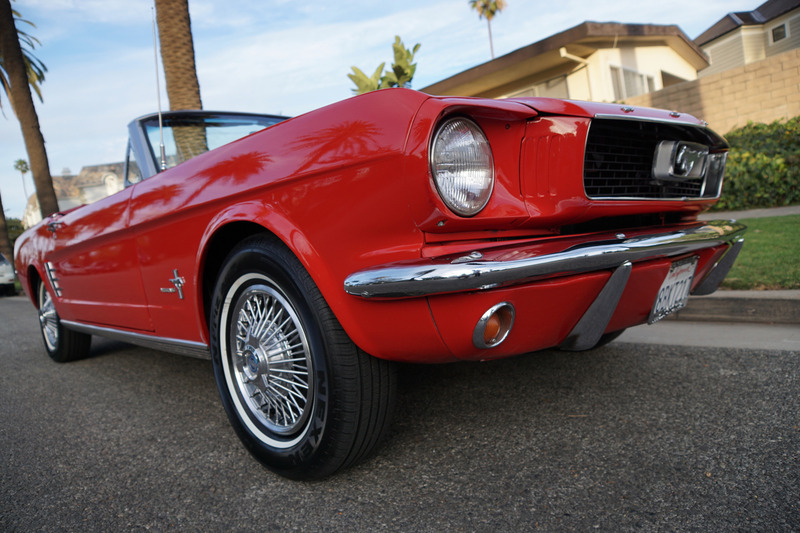 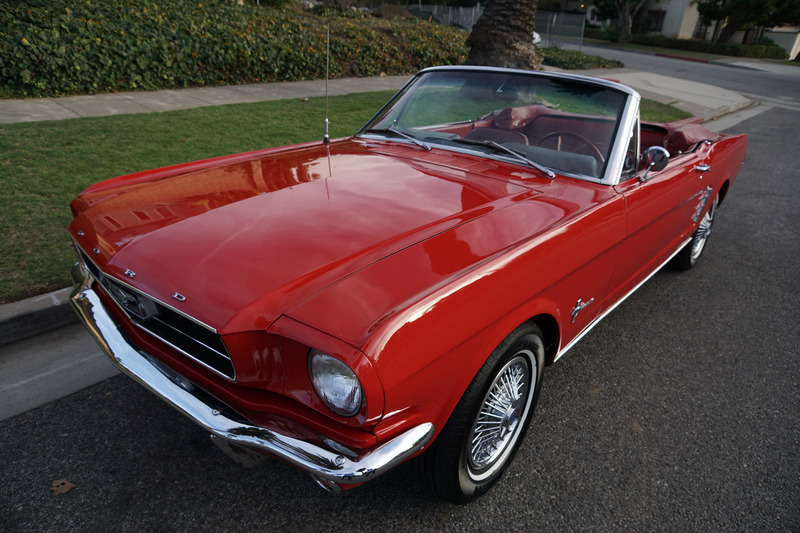 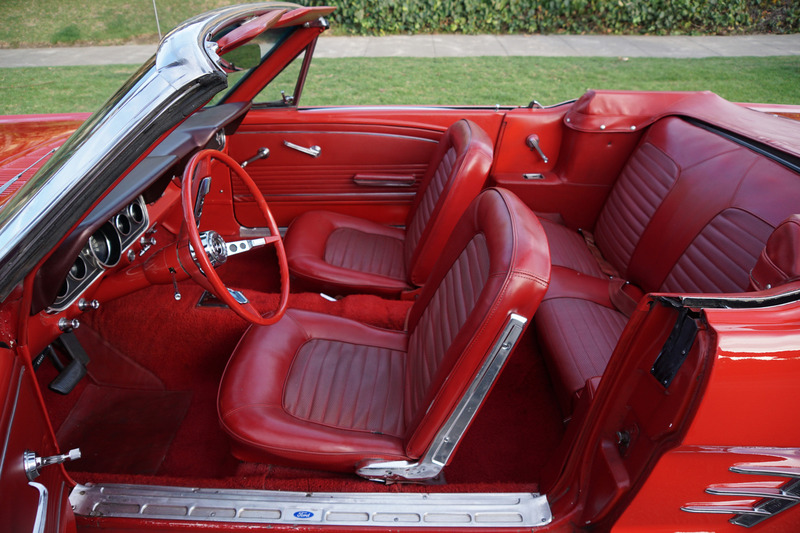 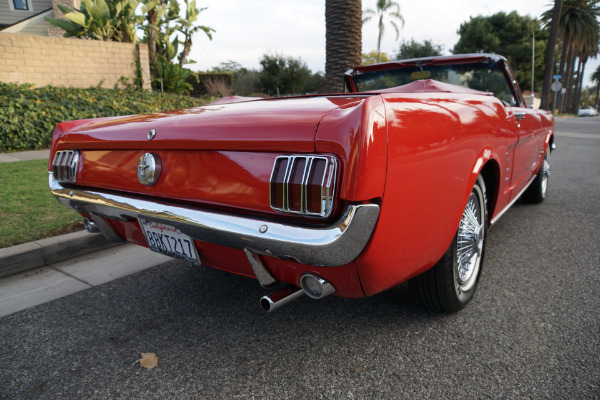 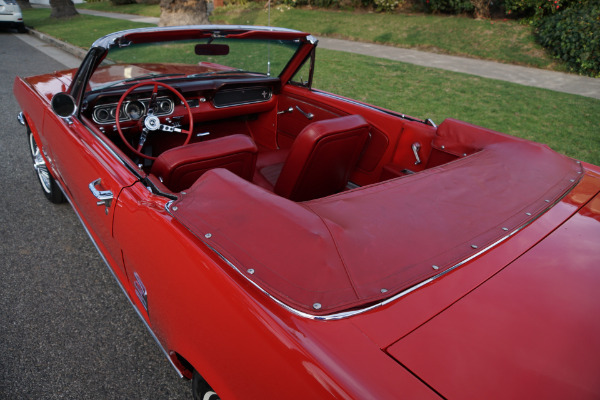 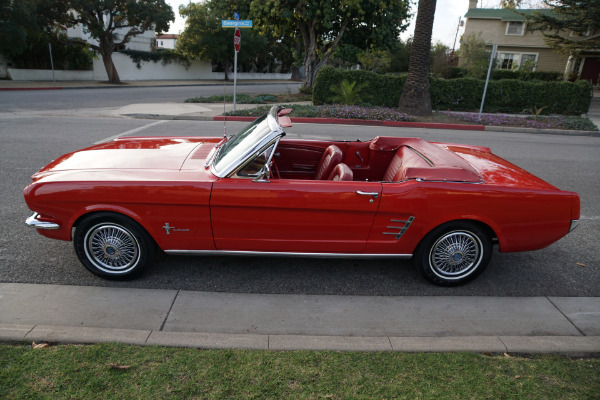 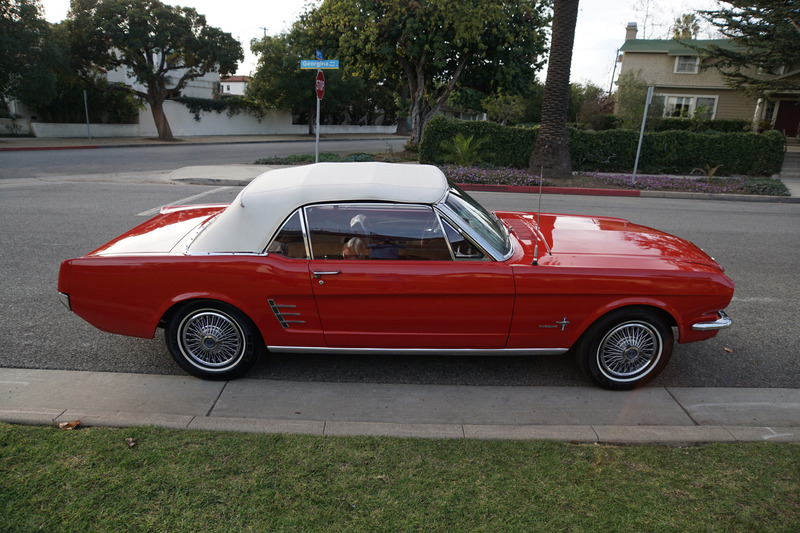 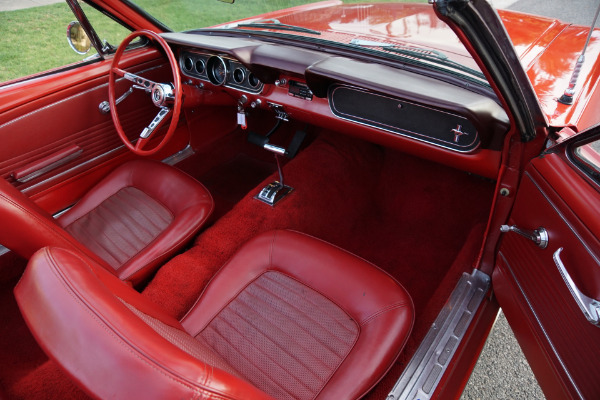 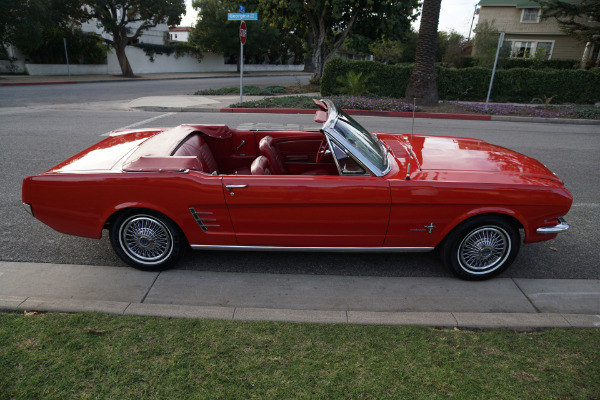 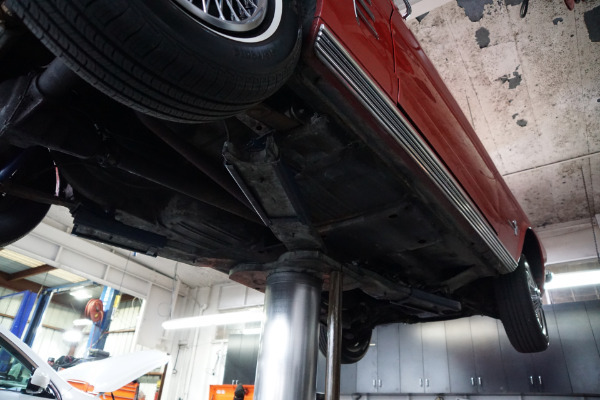 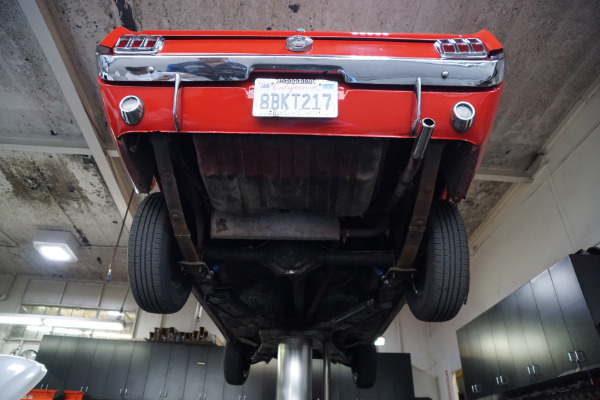 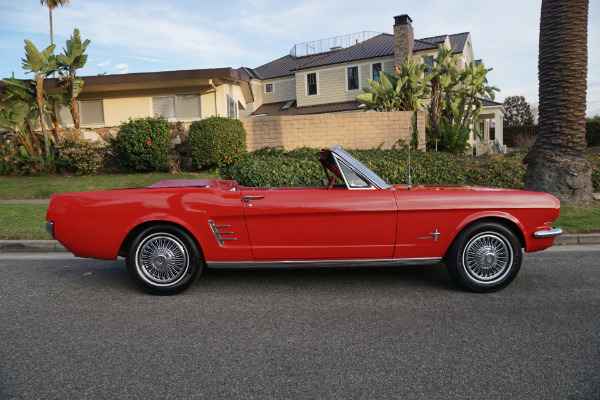 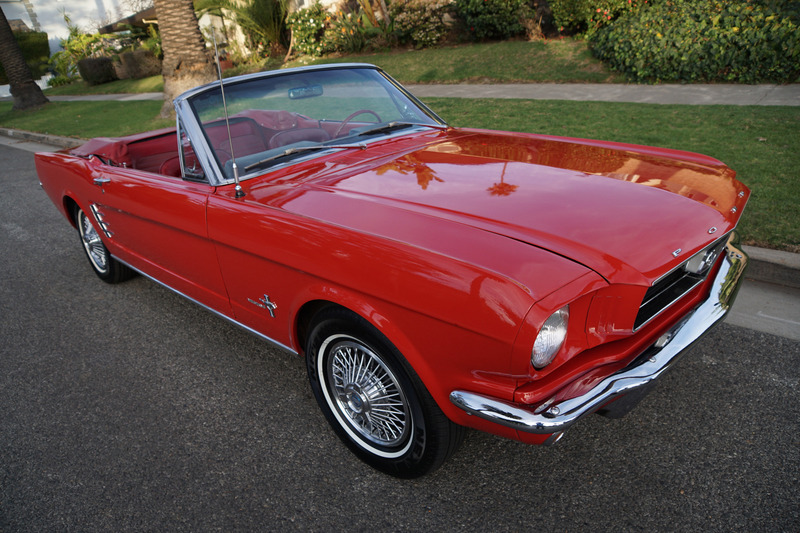 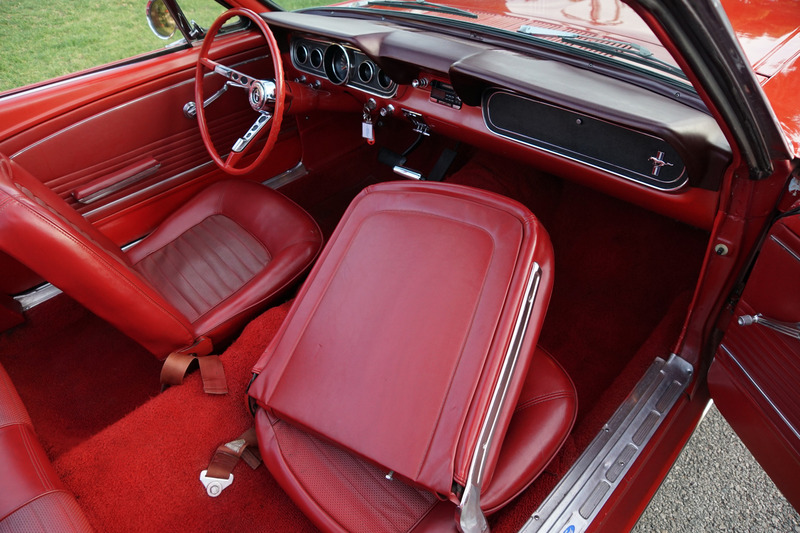 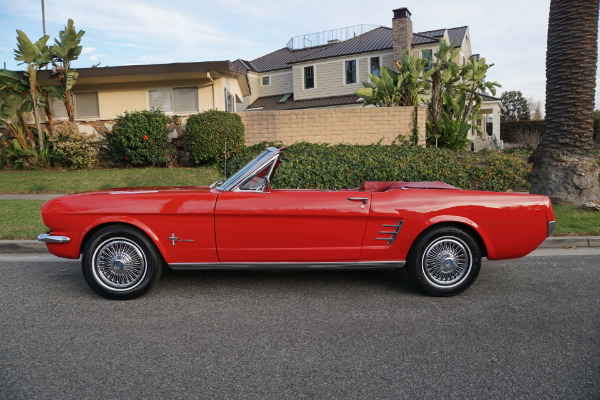 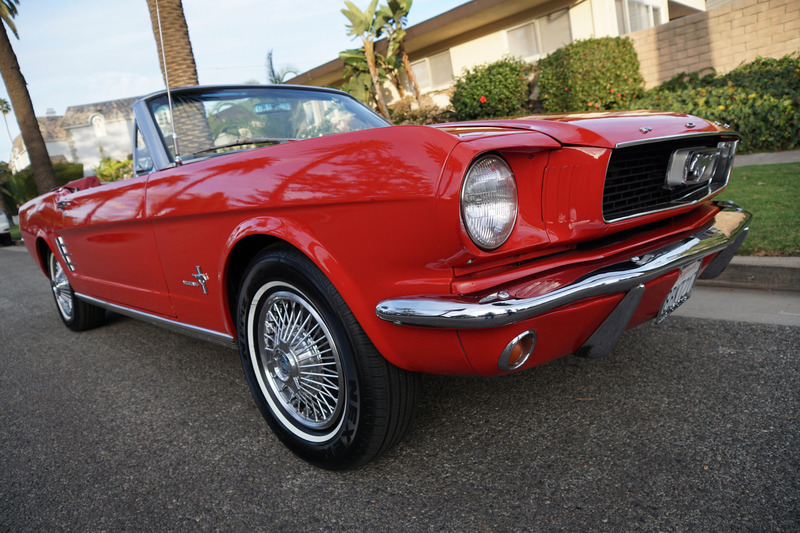 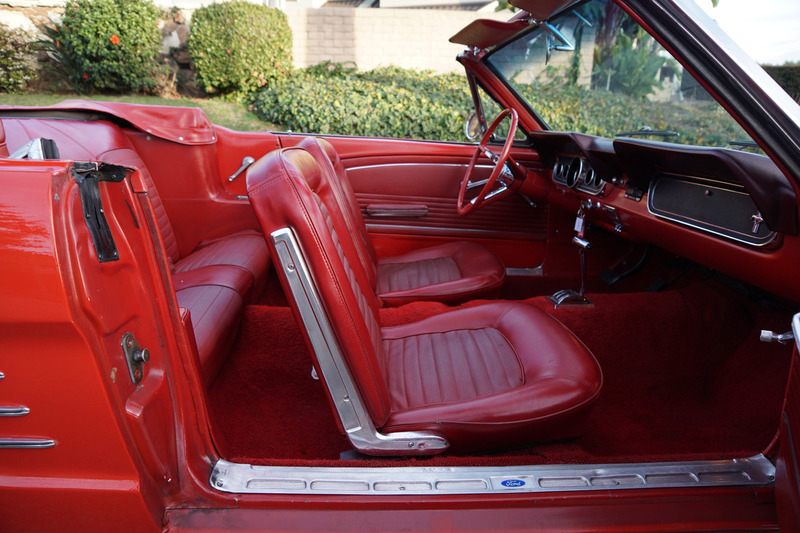 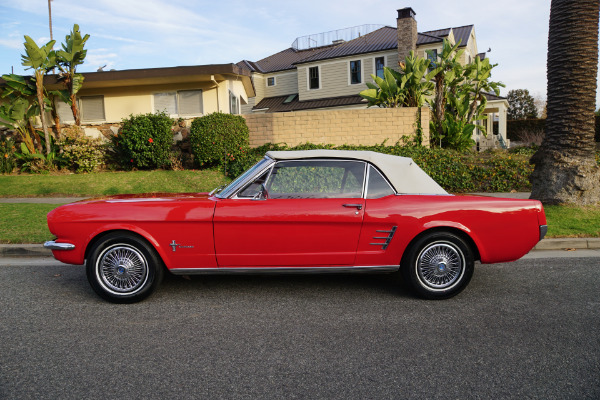 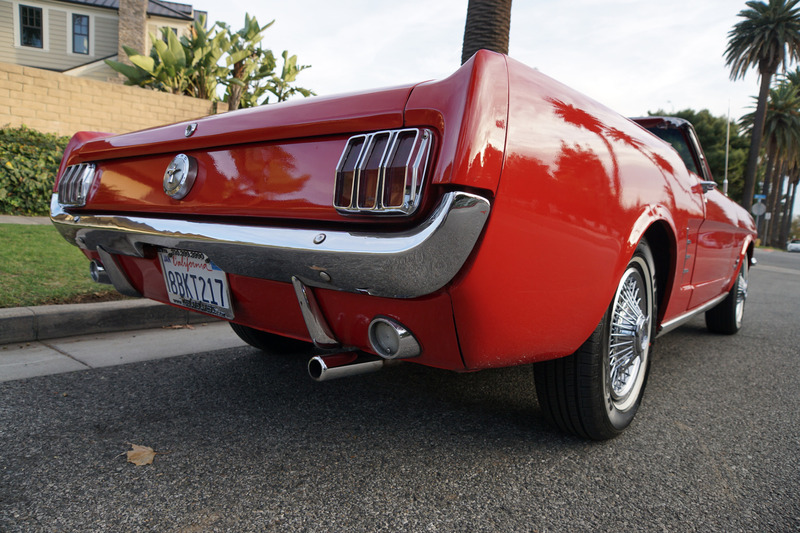 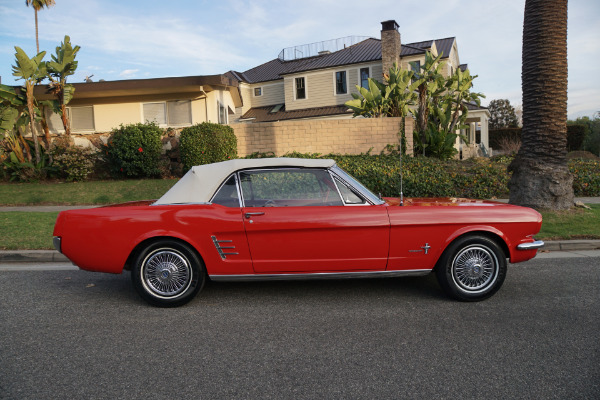 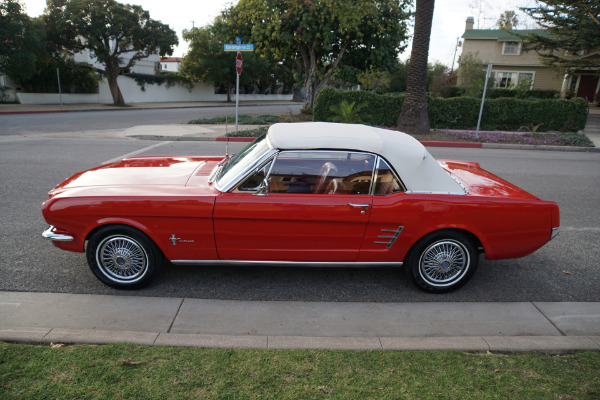 West Coast Classics are proud to present this great daily driving example of a 1966 Ford Mustang 200 cubic inch 6 cylinder Convertible presented in a very striking 'Candy Apple Red' color repaint with a matching all Red interior and a White soft top. 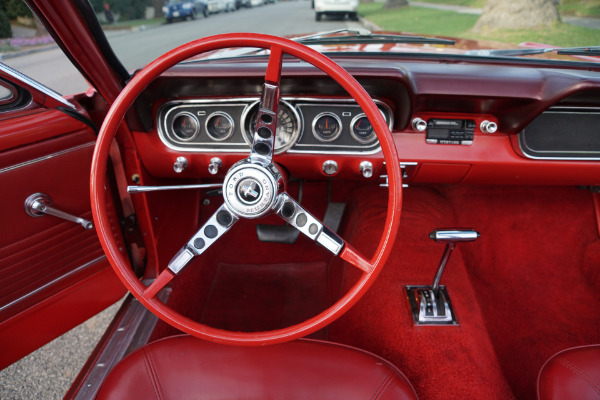 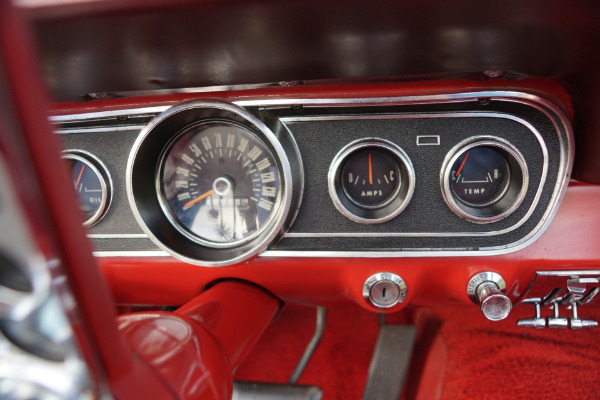 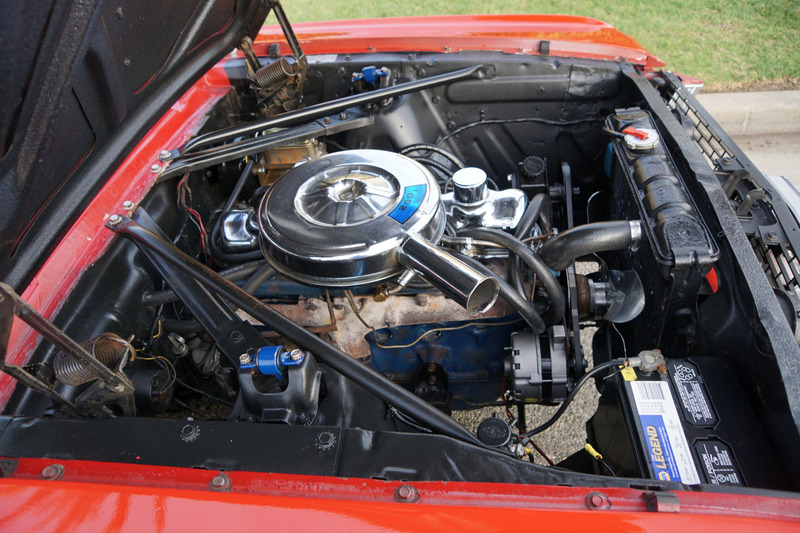 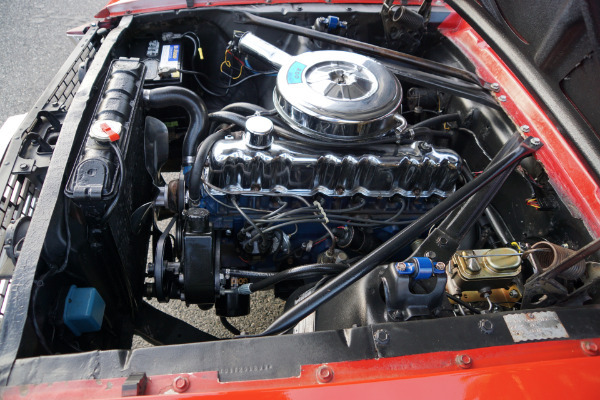 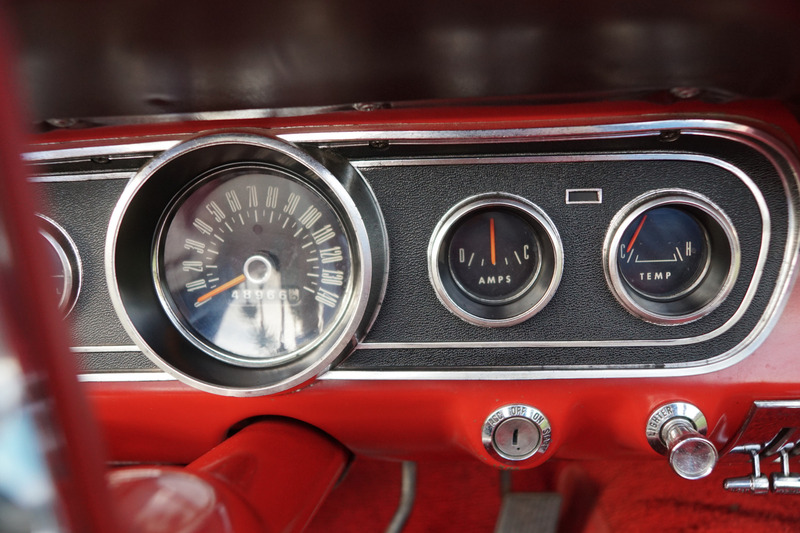 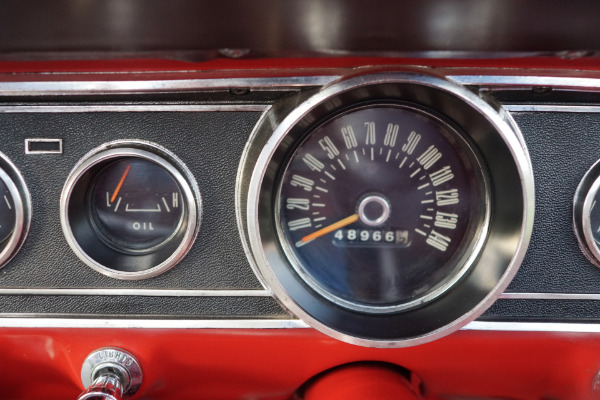 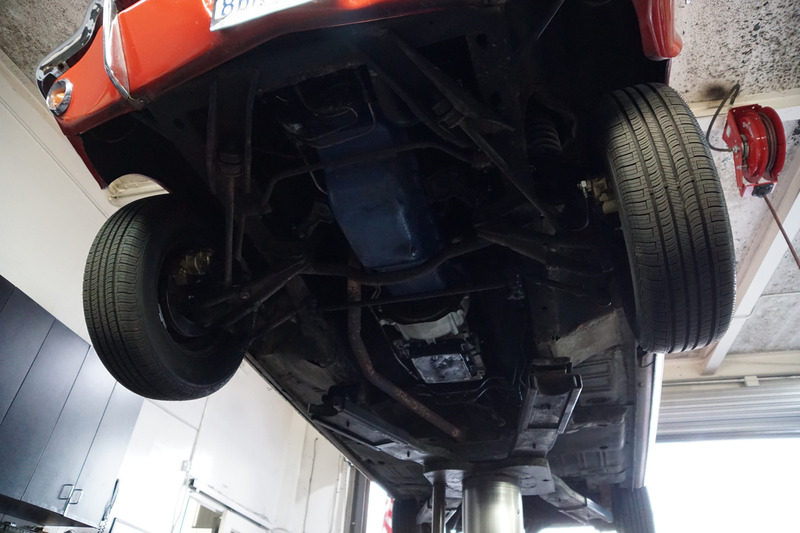 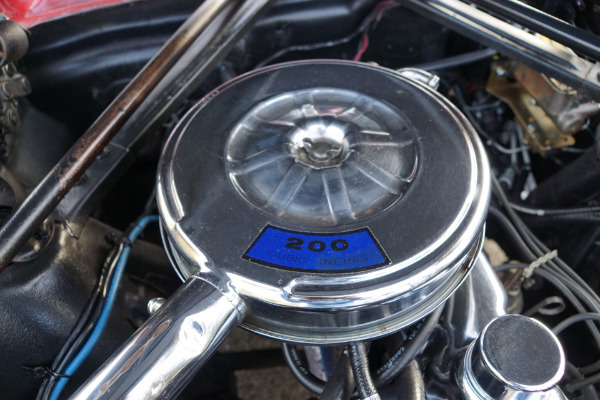 The car came factory equipped with power steering. 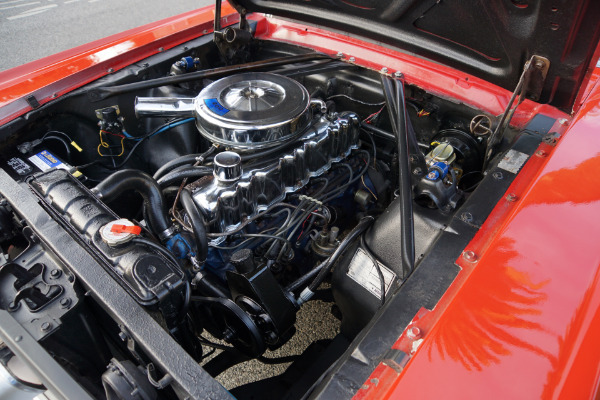 We recently purchased the car from reportedly a long time southern California lady owner and the car drives as nice as they come with no known mechanical issues whatsoever. 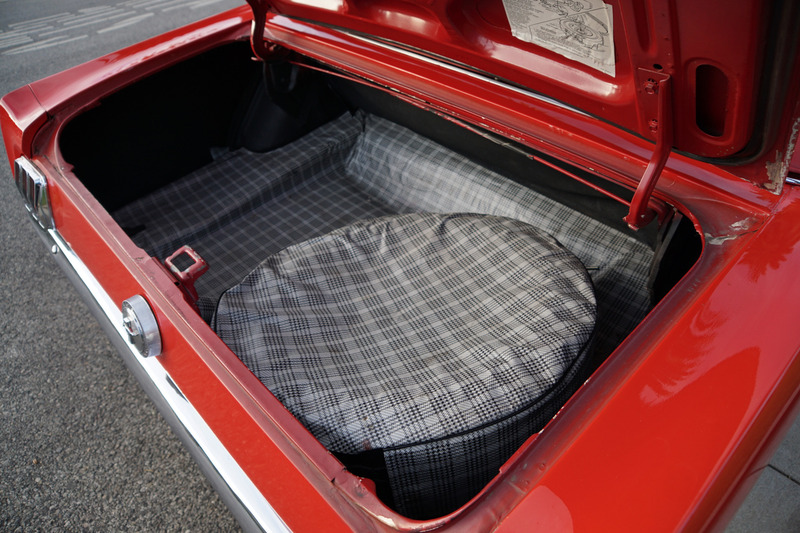 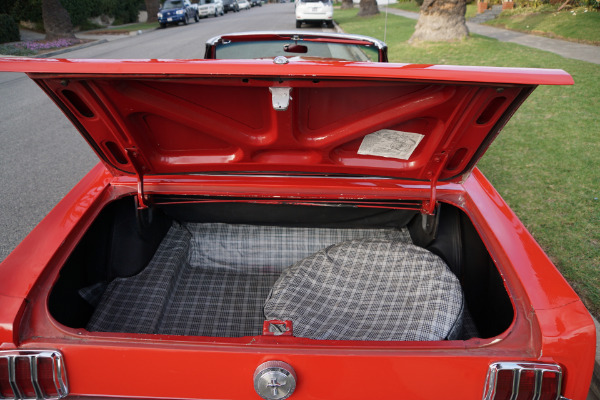 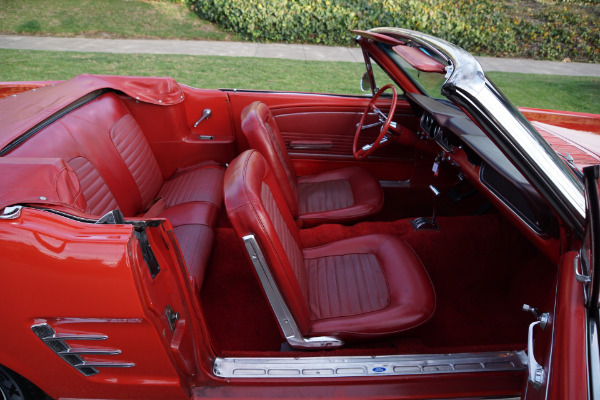 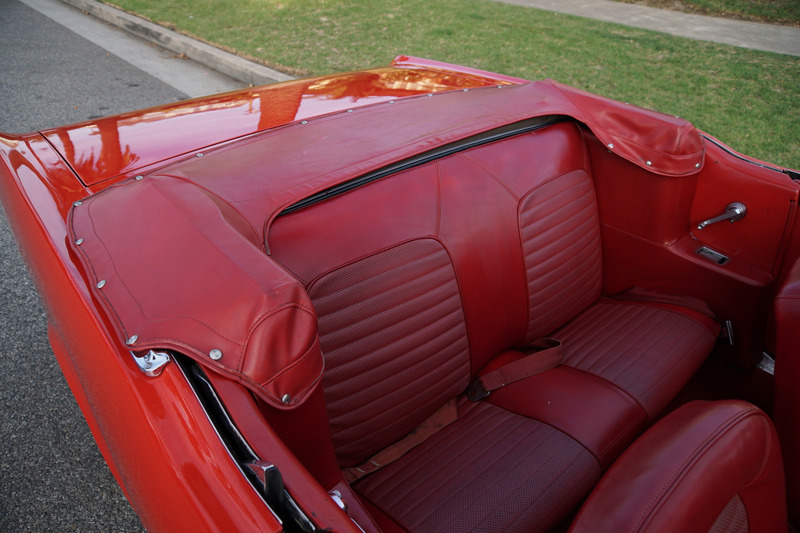 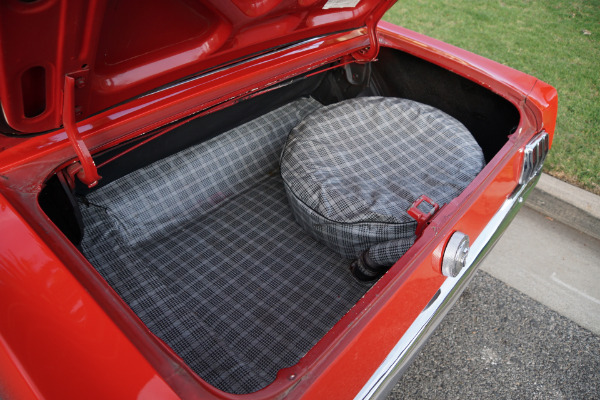 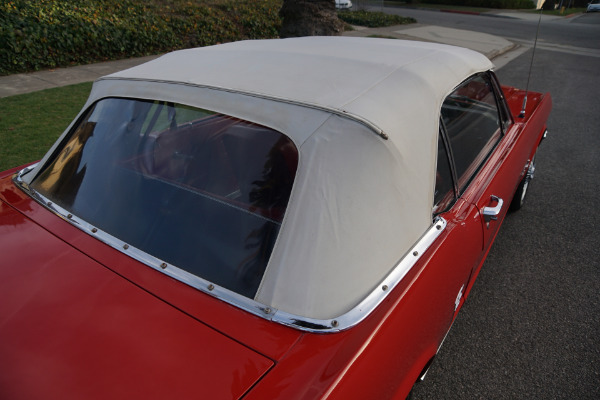 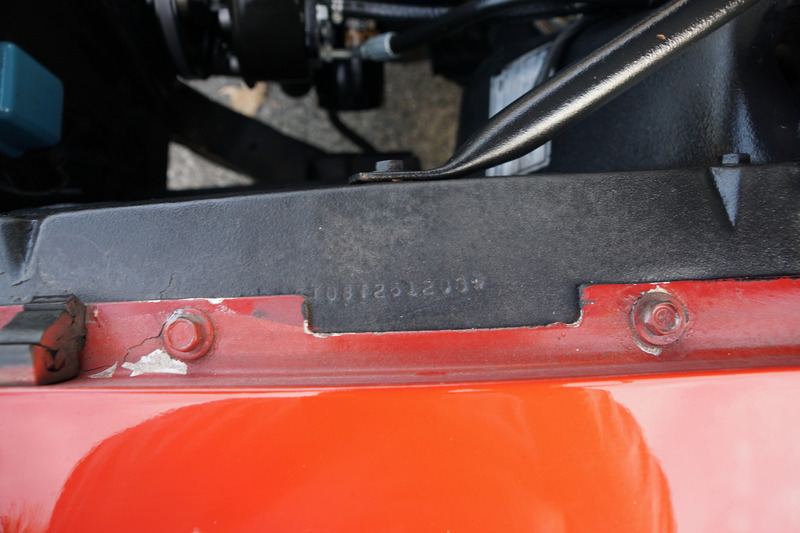 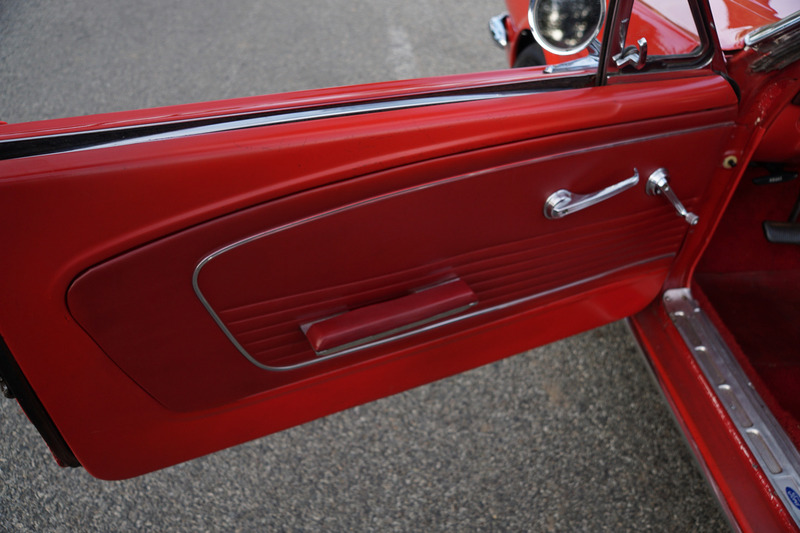 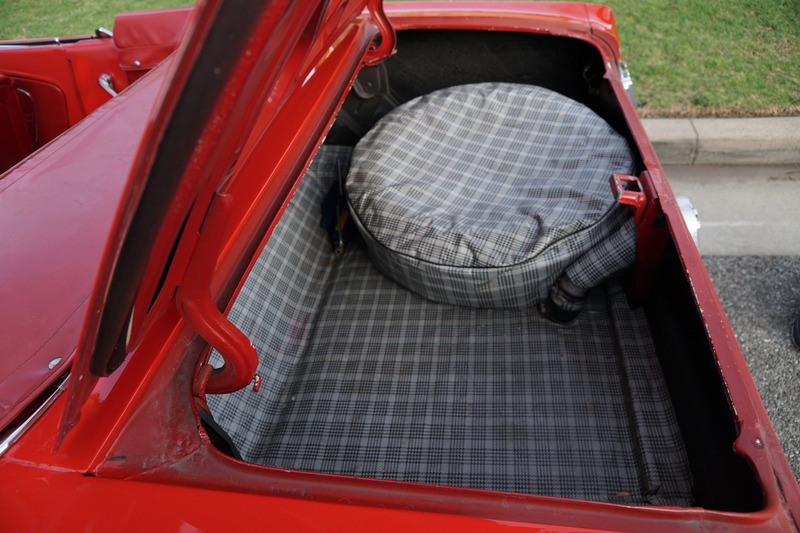 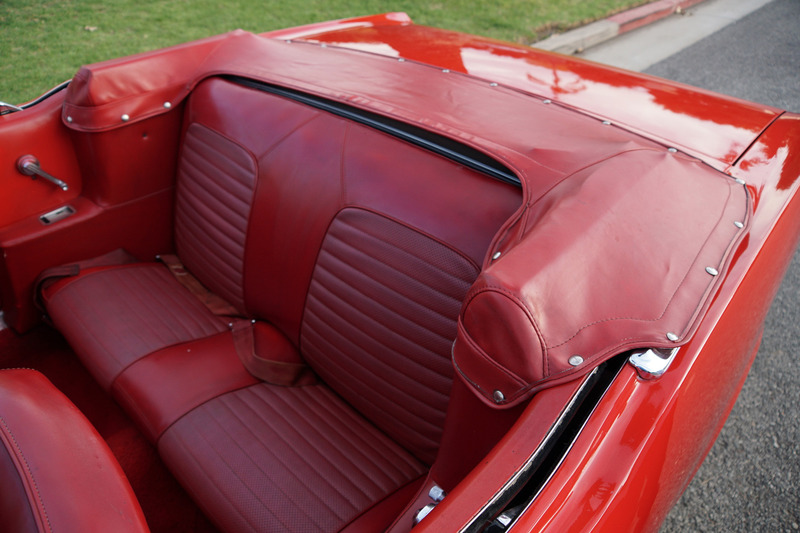 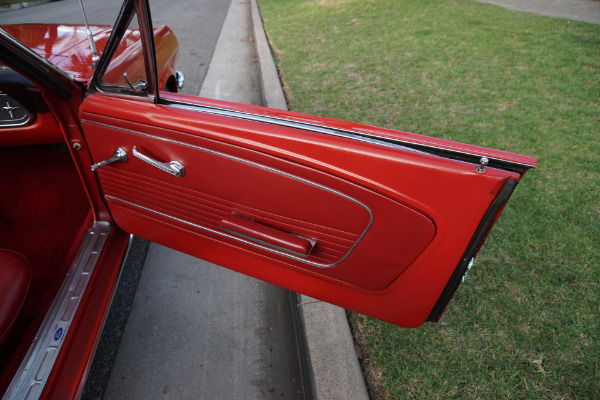 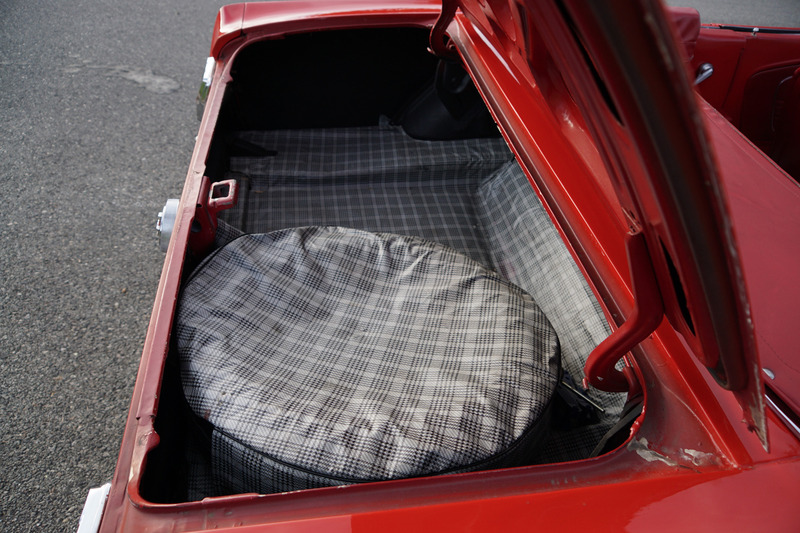 The car has its original spare wheel in the trunk as seen in the photos below. 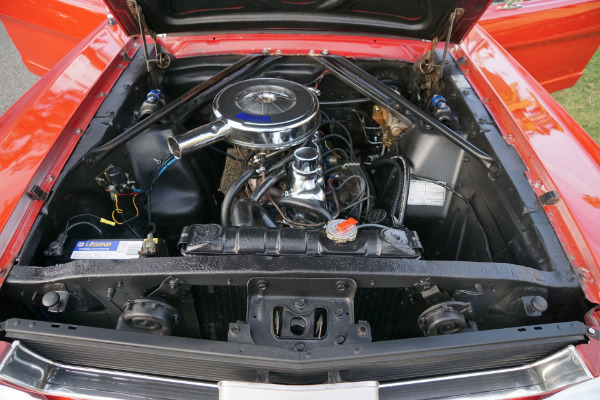 This particular car must be seen and driven to be fully appreciated - a very striking example which turns heads wherever she goes and which shows obvious pride of ownership through the years! 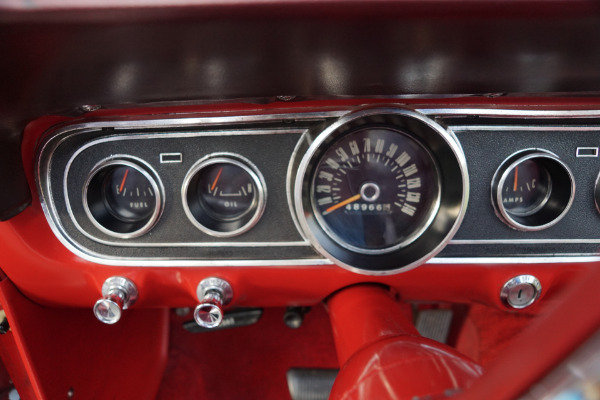 The engine is extremely strong and responsive and the transmission shifts smoothly through the gears and the engine temperature always remains cool. 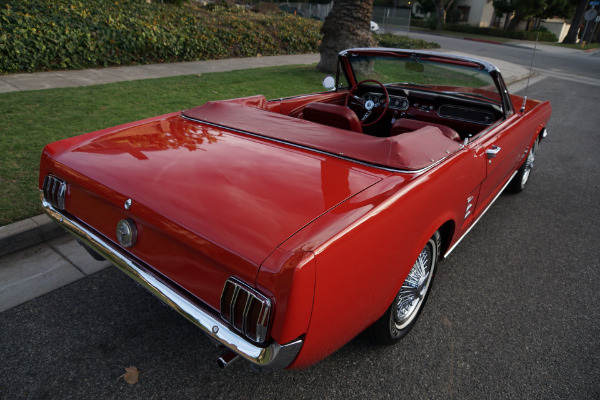 This is one very economical 1966 Ford Mustang Convertible in this very striking color combination and a wonderful daily driving example of this American classic car icon! 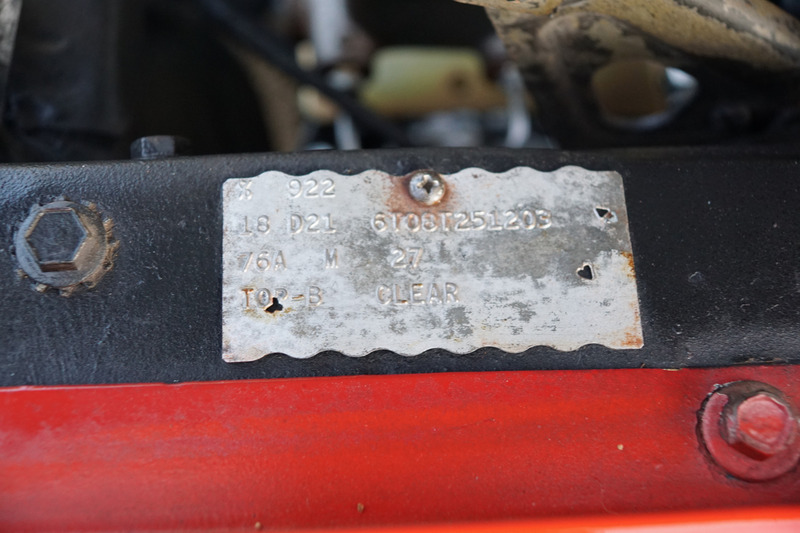 The car's data plate reads: 76A-M-27-21D-1.